Standby batteries must provide the equipment they serve with standby power in the event of a power failure. However, the capacity of such batteries can drop significantly for a number of reasons before their calculated life expectancy is reached. This is why it is important to check batteries at regular intervals. The only reliable way of measuring battery capacity is to conduct a discharge test. 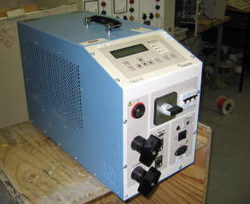 O’HARA ENGINEERING SERVICES use the Programma TORKEL for battery systems discharge testing ranging from 12 to 250 V. Discharging can take place at up to 120 A, depending on battery voltage,. Tests can be conducted at constant current, constant power, constant resistance or in accordance with a pre-selected load profile.